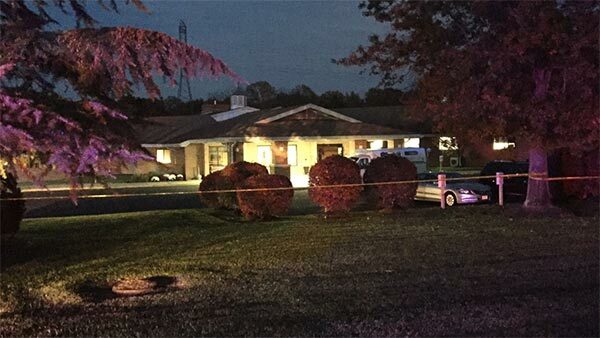 VOORHEES, N.J. -- Authorities are investigating a shooting that left a mother and son dead at a Camden County assisted living facility Sunday night. It was 5:44 p.m. when police responded to a report of a shooting at Genesis HealthCare's Voorhees Center on the 3000 block of Evesham Road in Voorhees. Police say two people are confirmed dead. Police say at around 4:30 p.m. George Buller III, 62, of Lumberton came to visit his mother, 85-year-old Andree Buller. The two ate dinner together at the cafeteria within the facility and then the man took his mom back to her room. Later, George Buller went to his car and then returned to the room and shot and killed his mother and then turned the gun on himself, police said. After the first gunshot, a nursing aide ran toward the room and witnessed Buller shoot himself. The entire wing where the shooting took place was evacuated and residents were moved to another area within the complex. According to its website, the Voorhees Center's programs and services include transitional care, short stay and long term care, cardiac management, and memory and dementia care.